AHI Employment Law - Alexander Hamilton Institute books for human resources personnel. American Lawyer Media - A leading source of news and information for the legal industry. Publishes 24 award-winning national and regional legal trade newspapers and magazines, including The American Lawyer and The National Law Journal. ALM's other services for legal professionals include book, custom, newsletter and directory publishing, trade show and seminar production, jury verdict and settlement research, and print and electronic distribution of branded content. American Legal Publishing - Provides a wide range of codification services to local governments, including ordinance codification, electronic publishing, subscriber services and much more. See Online Library of codes. BeardBooks - Law and business publisher. bepress Legal Repository - A network of law-related research materials. Law schools, research units, institutes, centers, think tanks, conferences, and other subject-appropriate groups post materials to specific publications (e.g., the USC Working Paper Series). Bluebook, The - The definitive style guide for legal citation in the United States. BNA - Authoritative legal and business publications, books, and educational courses and events, cover a broad scope of legal practice areas ranging from labor & employment and intellectual property to health care and pensions and benefits. Books on Law - Law book reviews from Jurist. Bureau of National Affairs, Inc. (BNA) - A leading publisher of print and electronic news and information reporting on developments in health care, business, labor relations, law, economics, taxation, environmental protection, safety, and other public policy and regulatory issues. Carswell - Specializes in law, finance, and business. Casenotes - Study systems and law outlines. CCH, Incorporated - A leader in tax and business law information and software for accounting, legal, human resources, securities, insurance, health care and small business professionals. 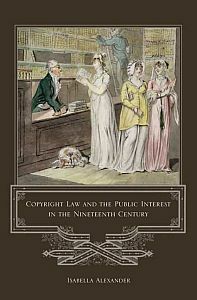 Forthcoming Law Titles - Carolina Academic Press announces law books published within the past three months. Gaunt - Law book publishers, distributors and subscription agents, your source for 100 non-American English language legal periodicals. Index to Legal Periodicals and Books/Wilson Web - A bibliographic database indexing law books and citing articles in legal periodicals published after 1992. Infosources Publishing - Publishes basic reference sources for lawyers, law librarians, legal researchers and information professionals. IndexMaster - Thousands of legal treatises. Law and Politics Book Review - An electronic law and politics book review published by The Law and Courts Section of The American Political Science Association. Law Book Network (LBN) - A place where sellers and buyers of both new and used law book and related research materials can meet, share information, and conduct transactions in a modern, 'frictionless' way. Lawyers & Judges Publishing Company - Tucson, Arizona. Various legal fields, especially accident reconstruction and litigation. LexisNexis Bookstore - LexisNexis encompasses authoritative legal-publishing brands dating back to the 19th century including; Butterworths in the United Kingdom, Canada, the Asia-Pacific region, Les Editions du Juris Classeur in France, and Martindale-Hubbell and Matthew Bender worldwide. Mealy's Legal News and Litigation Reports - Litigation resources and news. All of Mealey's titles are available. You will have immediate access to current issues the day they are published as well as an editorial archive of all titles from 1990. Meyer Boswell Books Inc. - San Francisco. Browsable bookshop specializing in antiquarian law books. Searchable database of over 6, 000 rare and scholarly books. Nolo - Legal information, books, software and forms focusing on self-help law. Shepard's Citations Service - Providing relevant cases, statutes, secondary source and annotations for legal research. Springer - Publisher of law books as well as books and journals in science, technology, and medicine. Thomson Reuters - Legal resources. Wolters Kluwer Law & Business - Maintains 1000s of books, journals, loose-leaf and electronic products in all important areas of the law and a comprehensive information for the international law community.